Welcome to McAdoo Dental, an established dental practice located in Detroit, MI. For over 45 years, McAdoo Dental has helped the families of our community achieve optimal oral health. Our philosophy is that dental care is not a dictatorship, it is a partnership where you and the dentist work together to reach your dental and cosmetic goals. 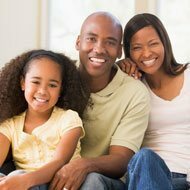 When you visit our Christian, family-friendly dental office, our dentists, Dr. Jernice L. McAdoo and Dr. John H. Carson, will help you understand the importance of oral health while getting to know you personally. Together, you and the dentist will work to restore your oral health and achieve a beautiful, pain-free smile. Since 1964, McAdoo Dental has been known as a provider of personalized and experienced dental care to the people of Detroit, Farmington, West Bloomfield, Southfield, Royal Oak, Redford, Dearborn, and Livonia. We offer a wide variety of cosmetic dental services, such as Snap-On Smile, Precision Partials, and teeth whitening to ensure that our patients leave our office with the radiant smile they have always wanted. If you and your family are looking for a dental team who instantly makes you feel at home and pain-free dental treatments, we invite you to visit our wheelchair-accessible dental practice today. We look forward to helping you achieve a radiant, healthy smile!